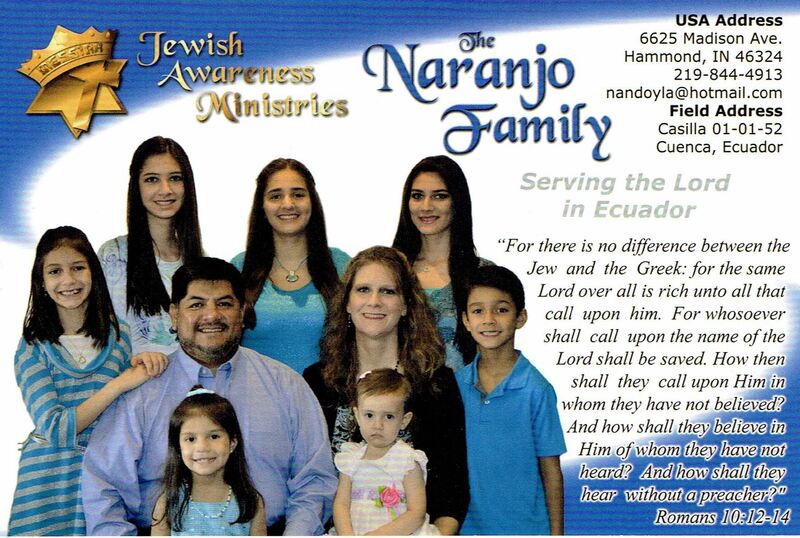 The Naranjo Family is part of Jewish Awareness Ministries - Remnant Ministries. They actively support people and churches that are reaching out to Jews in their regions. We aim to assist Jewish people to become aware of the Jewish roots of the Christian Faith and how Jesus is their Messiah/Redeemer. The ministry prints literature to help in this endeavor, as well as develops different outreaches to share the Messiah with Jewish people. Jewish Awareness Ministries is an advocate for the nation of Israel. Sin to Confess? Promises to Claim? Principle to Learn? Example to Follow? Commands to Obey? Stumbling Blocks to Avoid?